Customers can restart the server at any time and view the current traffic usage in real time. If the customer has installed his own operating system, he can adapt the name to his own overview. The operating system logo is dynamically adjusted by an appropriate one. The customer panel contains many AJAX elements. For example the power status, and the traffic usage is displayed in real time. Power actions are performed without site reloads. The client panel is clear and self-explanatory, so that every customer can easily handle it. The customer can do everything himself, without support requests. If his server is out of reach due to a software configuration error, he can start the rescue mode himself or use the KVM console. IPMI and KVM can be opened directly from the customer portal. As with every customer panel function, it is of course also possible to deactivate the use of these functions for the customer. If you run IPMI and KVM behind private IPs, your customers will still be able to access them. Without additional software like OpenVPN. With our WebProxy, which you can deploy within minutes, you still have the same security as with private IPs. 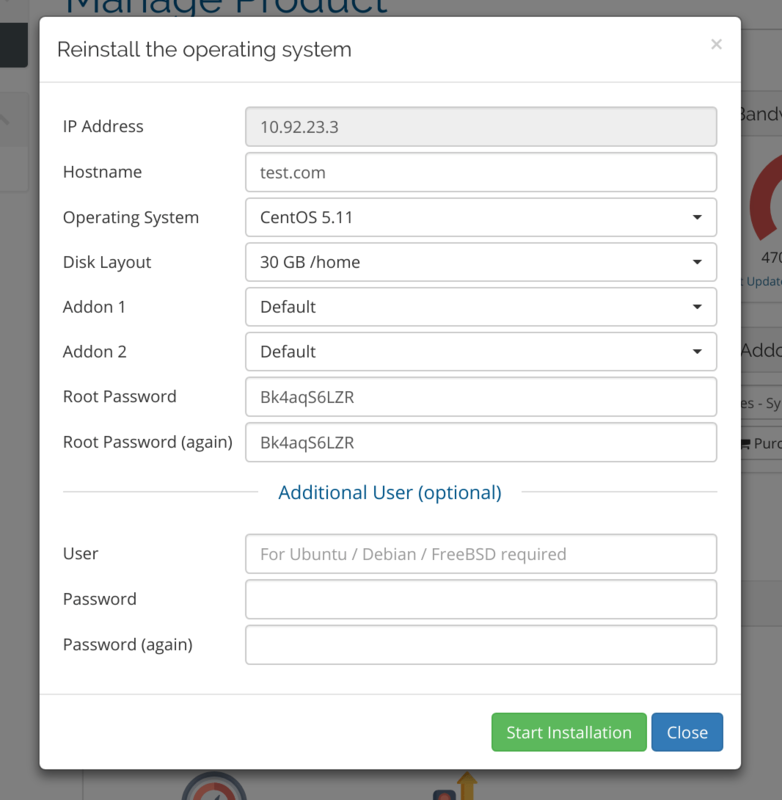 You can import iso files into your NOC PS installation and allow your customers to boot their server from an iso file out of the customer portal. This works for dedicated servers and virtual servers (VPS). At the ACL Group page you can activate the ISO boot feature for the desired groups. And for each ACL group you can provide individual ISOs. Most people like graphs. We have implemented network traffic graphs and great looking IPMI sensors graphs. 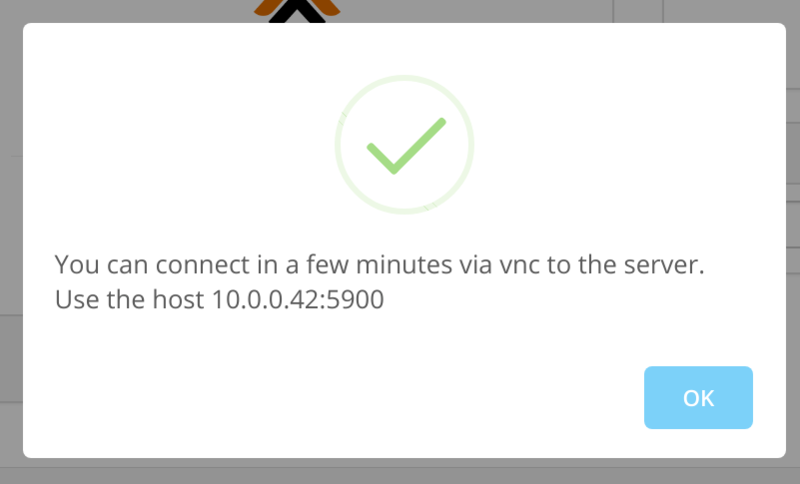 Multiple network ports are supported. For each assigned network port, a graph is generated and displayed. By using the acl groups, you can specify exactly what rights the customer has. In Server Manager, you can set the default group per product. If no group is defined, the default group, which can be set in the settings, is used. Sometimes you want to give certain customers more rights than standard. You can therefore change the acl group for each server at any time. Give customers the option to have their server automatically reinstalled. Customers can reinstall the server anytime in the customer panel. In the module settings you can choose which operating systems are available to the customer. In the ACL group settings you can choose whether the noc-ps addons & packages should be available or not. Each acl group can have different settings. As with the addons & packages, you can also choose here in the acl group settings whether the customer can choose a disklayout. In the NOC-PS software different disklayouts and RAID configurations can be created. In case of a software misconfiguration, the customer can boot the server in rescue mode and fix the problems. 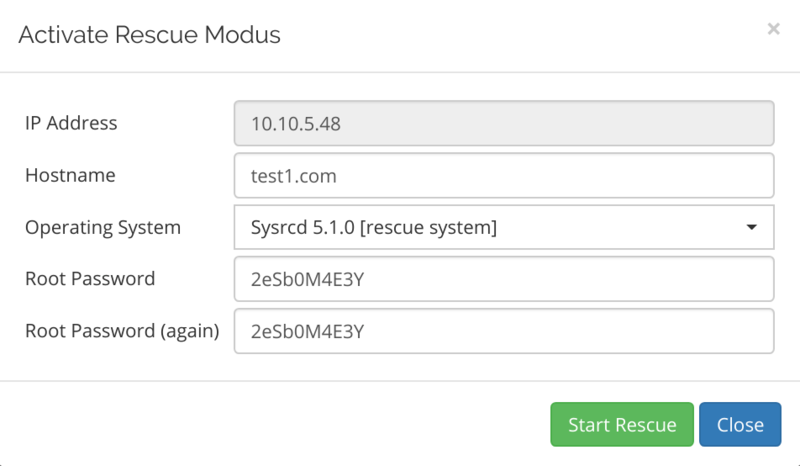 In the module settings you can choose which rescue images should be available for your clients. Your client sees his current bandwidth consumption in the customer panel. You can automatically bill your customer for overages. No unforeseen costs for your customers. They can see the bandwidth consumption at any time in the customer panel. By default, WHMCS can only display the value in MB. This gets confusing pretty fast. The module can convert the MB value into other units and make it easier to understand.